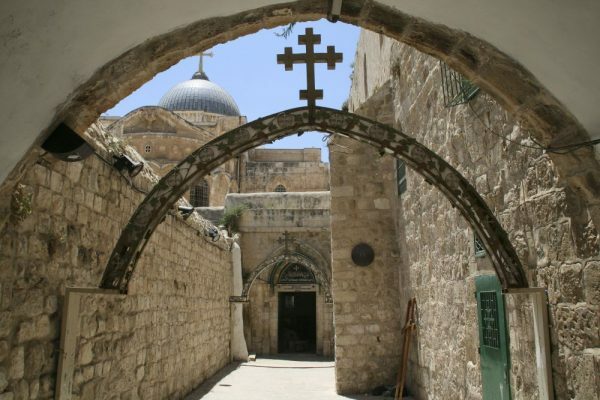 Moscow, April 6, Interfax - On the Easter eve, Ukrainian believers will carry out a pilgrimage to Jerusalem and pray for peace in their country. In frames of the mission Along the Lord’s way with prayer for Ukraine they will march on March 14, Good Friday, along Via Dolorosa which is supposed to be the way of Christ to Calvary, press service of the Information and Education Department of the Ukrainian Orthodox Church reports. They will carry hundred copies of miraculous icons of the Mother of God with them, which they will take from Ukraine. On the eve these icons will be consecrated in the Kiev Laura of the Caves. Besides, Ukrainians will take the Holy Fire to their Motherland as it comes down on the Easter eve to the Church of the Holy Sepulchre in Jerusalem and meet with Patriarch Theophilos of Jerusalem.